Talk to Us – Talk with the dentist or hygienist about your dental anxiety. We can explain what each procedure entails so you know ahead of time what to expect. We’re here to make your experience as comfortable and relaxed as possible. More often than not, we hear our patients say that the actual procedure was not as bad as they had imagined it would be. Knowing what to expect can help you feel less anxious. Tune Out – Literally, tune out. Wearing headphones while waiting for and/or during your appointment to help block out sounds can be relaxing and helpful. Listen to an audio book or your favorite music or a radio station. We can always get your attention for the moment or two we need to chat and then let you get back to your listening pleasure. Ask Us About Pain Management – The dentist or hygienist can often apply a numbing gel or use a local anesthetic to minimize pain. Don’t be afraid to request a numbing agent, everyone’s pain threshold is different. 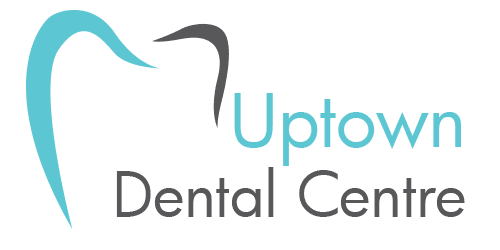 We’ll do what we can to help you manage any discomfort; we want to ensure you are as comfortable as possible before we proceed with any dental procedure. Bring a Friend – Having someone you trust with you during a stressful procedure (dental or otherwise) can help provide comfort and reduce stress. This is especially helpful for our younger patients or those who have very little experience visiting the dentist and are unsure what to expect. Arrive Early – Avoid being in a stressed-out state when you get to your dental appointment. Allow yourself extra time to relax in our office for a few moments before your appointment time. Stress management can start just by being on time and not feeling rushed. The number one tip we can offer is to talk to us about any concerns or fears you may have. 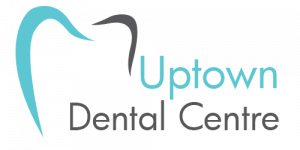 Our Uptown Dental Centre dentists in Edmonton we strive to provide a relaxed and comfortable experience for our dental patients of all ages. Helping our patients manage dental anxiety is part of what we do. Call us; let’s talk about your mental health for dental health!